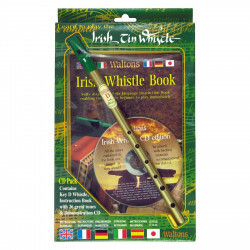 Learn to play the whistle with this pack including a D whistle, a French guide to the tin whistle and a CD with 20 popular Irish songs! The tin whistle is a simple, six-holed woodwind instrument. Generally made of metal, the tin whistle is closely associated with Irish and Celtic music. Learning the tin whistle is accessible to every Celtic music lover. 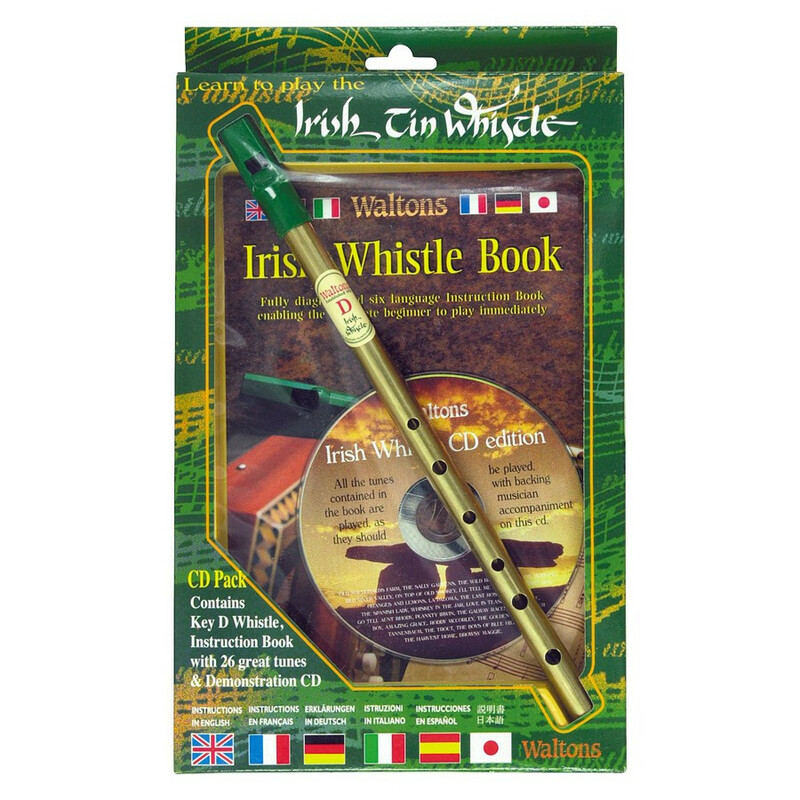 Le Comptoir Irlandais offers a range of tin whistles available in various keys (C, D, E flat, G) to play the various tunes of Irish and Scottish music. Ireland would not be Ireland without Irish music! Irish pubs are the meeting place for fans of traditional music and musicians who love to share their passion. Many traditional instruments such as harp, bagpipes, bodhran, tin whistle are played in these pubs. Waltons is a reference in the world of Irish music. The company was founded in 1922 by Martin Walton in the Dublin area. Passionate about bringing Irish music to the public, he opened his own manufacturing company to distribute instruments but also books and CD. Waltons has two stores in Dublin and a music school. Today, the company is known for its quality products as well as for its respect of Irish tradition.